1: 80 Degrees (3:10) Rating: 5 Lyrics by: MX Skroch Record date: 03/17/2012 DDD digital multitrack recording by MX Skroch Copyright © 2012 The Sheep Fiends Foundation. 2: A Lot Of Nerve (3:11) Rating: 5 Lyrics by: Brian McNally Record date: 09/17/2011 DDD digital multitrack recording by Brian McNally Copyright © 2011 The Sheep Fiends Foundation. 3: Slinky & Dinky (2:39) Rating: 4 Lyrics by: Matthew Cramer Record date: 03/17/2012 DDD digital multitrack recording by MX Skroch Copyright © 2012 The Sheep Fiends Foundation. 4: The Grim Reaper Is The Grave Digger (5:02) Rating: 4 Lyrics by: MX Skroch Record date: 03/17/2012 DDD digital multitrack recording by MX Skroch Copyright © 2012 The Sheep Fiends Foundation. 5: Rock & Roll Land (3:43) Rating: 5 Lyrics by: Brian McNally Record date: 09/17/2011 DDD digital multitrack recording by MX Skroch Copyright © 2011 The Sheep Fiends Foundation. 6: Stable Lad (4:11) Rating: 3 Lyrics by: MX Skroch Record date: 03/17/2012 DDD digital multitrack recording by Brian McNally Copyright © 2012 The Sheep Fiends Foundation. 9: SidSense (6:52) Rating: 5 Lyrics by: Sid Prise Record date: 09/17/2011 DDD digital multitrack recording by MX Skroch Copyright © 2011 The Sheep Fiends Foundation. 11: Fixed By Science (2:29) Rating: 5 Lyrics by: Brian McNally Record date: 03/17/2012 DDD digital multitrack recording by MX Skroch Copyright © 2012 The Sheep Fiends Foundation. 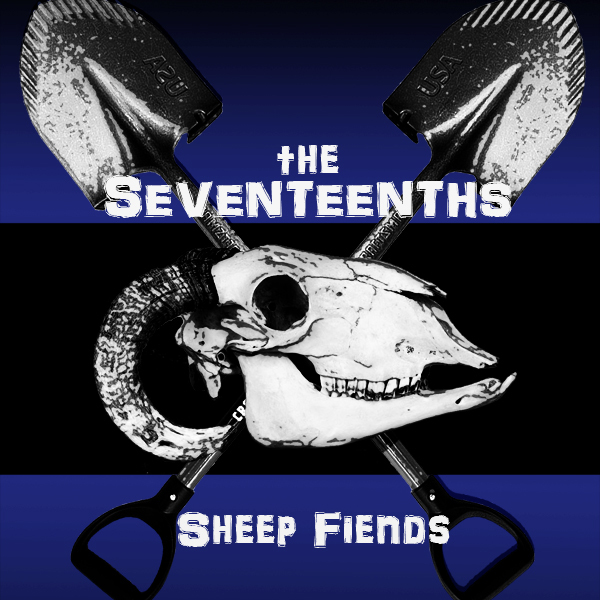 12: Sexual Servitude (4:26) Rating: 4 Lyrics by: MX Skroch Record date: 09/17/2011 DDD digital multitrack recording by Brian McNally Copyright © 2011 The Sheep Fiends Foundation. 13: The Time Has Come To Have Fun (4:59) Rating: 3 Lyrics by: Matthew Cramer Record date: 03/17/2012 DDD digital multitrack recording by MX Skroch Copyright © 2012 The Sheep Fiends Foundation. 14: Load Up The Guns (3:22) Rating: 4 Lyrics by: Brian McNally Record date: 03/17/2012 DDD digital multitrack recording by MX Skroch Copyright © 2012 The Sheep Fiends Foundation.